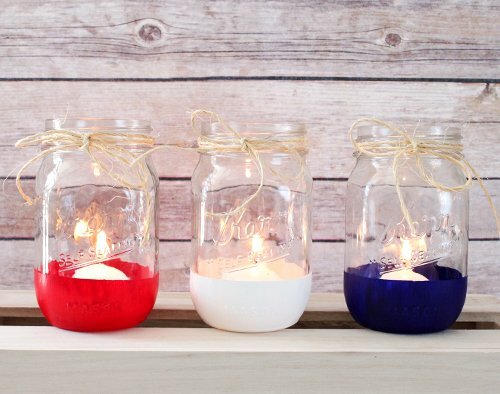 With 4th of July right around the corner, now is the perfect time to pull off an easy, fun, and decorative DIY project. 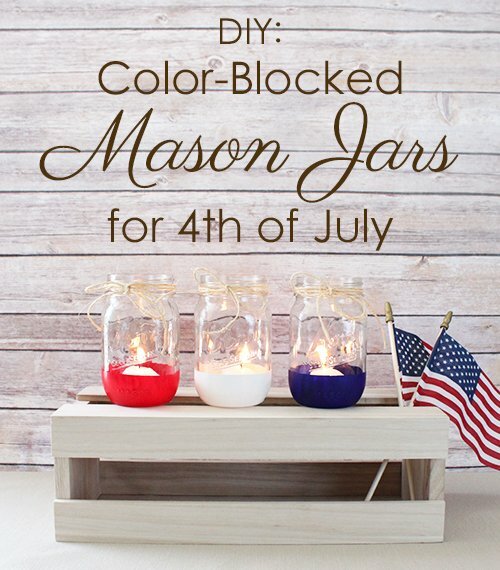 Easily spruce up mason jars by color-blocking them red, white, and blue. They’re perfect for your Independence Day celebrations! 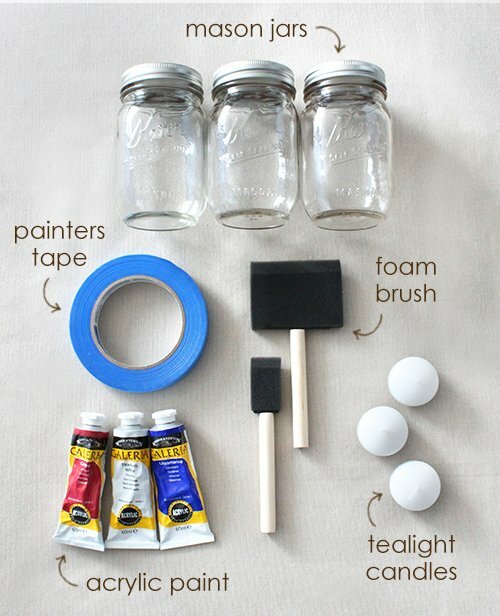 Mason jars, painters tape, your choice of acrylic paint, brushes, and tea light candles to decorate. 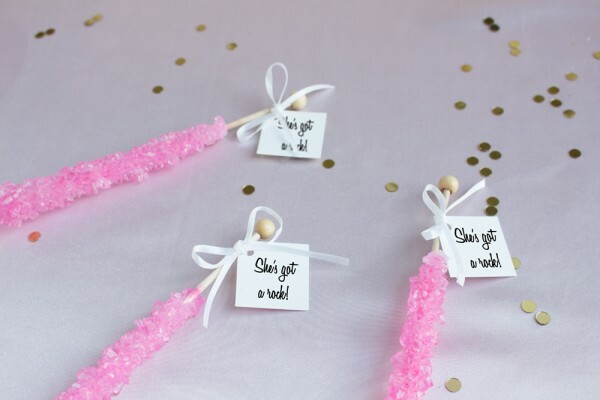 Begin by taping off your jars – keep tape line as straight as possible. You can paint as much or as little as you’d like. We opted to paint 1/3 of the jar. PRO TIP: Try using shorter strips as you tape along the jar. You can piece each strip together to gain better control of the line edge creating straighter lines. Prepare your paint colors. 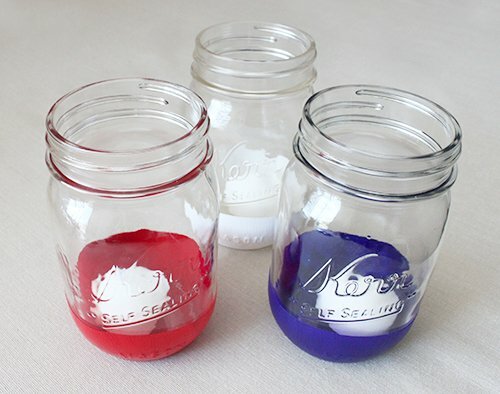 Using smooth strokes, paint each jar in the same stroke direction. 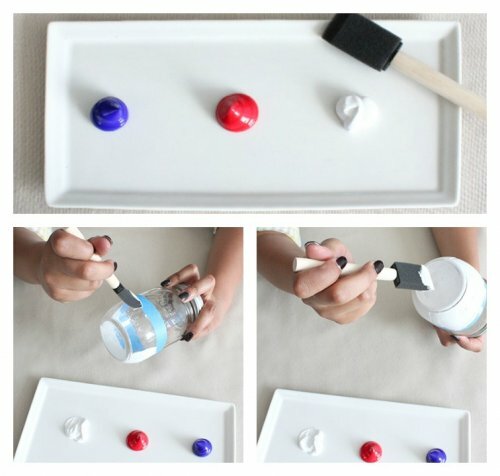 Allow paint to dry (about 5-10 min) before applying second layer. Allow paint to dry completely (about 30 min) before CAREFULLY removing the painters tape. PRO TIP: Assign a single brush for each color used to save on brush clean up between color and layer applications. Voila! Easy-peezy and oh-so Americana! Now that you’re done, it’s time to decorate. 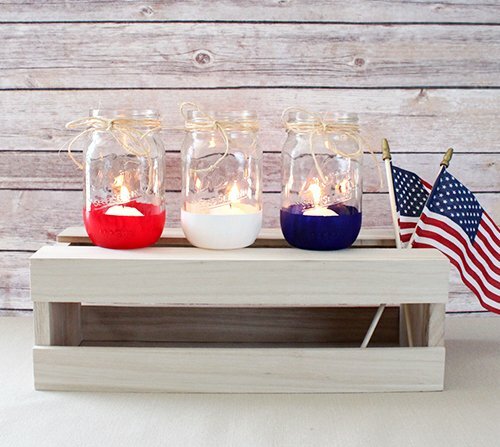 Drop in a tea light for a gorgeous 4th of July candle holder. For extra pizzazz, add some twine to the jars for a pretty rustic look. 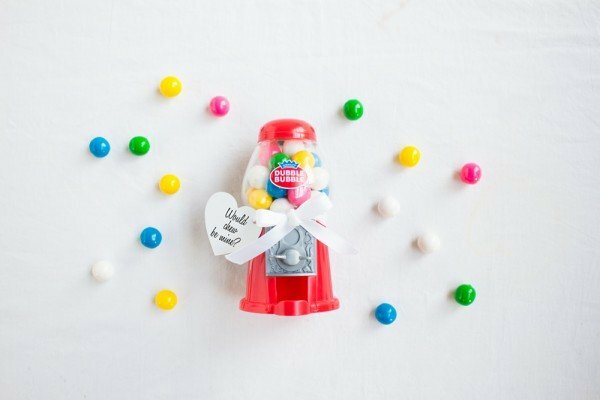 Set these decorated jars out at the picnic table, the buffet table, or around the house for a fun, festive, and EASY DIY decorative accessory!